Since this is my first review on @worstpizza I decided to begin things with a wonderful first impression. Yes, I know...just what Midtown needed, another average pizza place. 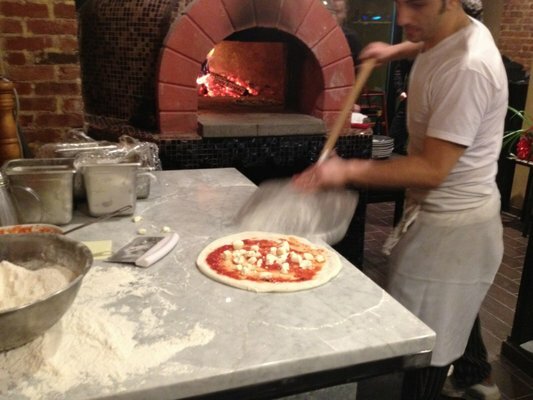 So when I was lucky enough to be invited to attend a preview of this New York City authentic Italian wood fired brick oven pizza restaurant named Sapori Ristorante Italiano, I went with trepidation, expecting to find a pizza like I have eaten so many times prior. 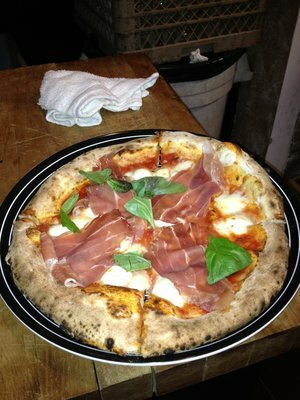 But after tasting Sapori Pizza I must say I was blown away! Sapori Ristorante Italiano is located blocks away from the Empire State Building. This could usually be the sign of a tourist trap kind of place. But the owners of Sapori Ristorante Italiano created a perfect ambiance that made me feel comfortable and welcomed, honestly almost like I was in some medieval town in Italy. Sapori has outdoor seating for the warmer months, which considering how mild the temperature has been this winter, was probably not a bad thing for them, and every seat in the house has a great view of the wood burning pizza oven (which was hand crafted beautifully!). The pizza at Sapori Ristorante was nothing short of amazing! The crust was thin, crispy, light and cooked to perfection! Sapori in Midtown also has an extensive menu that included authentic Italian dishes from all regions of Italy. They have an extensive array of pastas, grilled meat dishes, and most importantly endless variations of their signature brick oven pizza. Even though this review is solely about their wonderful pizza, it would be foolish not to indulge in one of their other dishes as well while you are there. I highly recommend this hidden gem. It is only a matter of time until I regret putting this post up, since once word gets out about Sapori Pizza, there will be lines out the door.